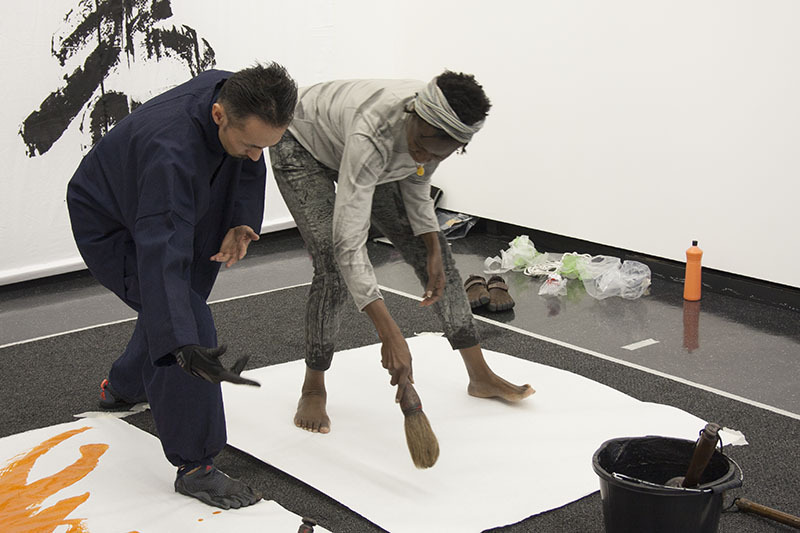 The opening week of Behind the Brushstroke at Camberwell Space saw great crowds at the Private View and the two events that complemented the exhibition. 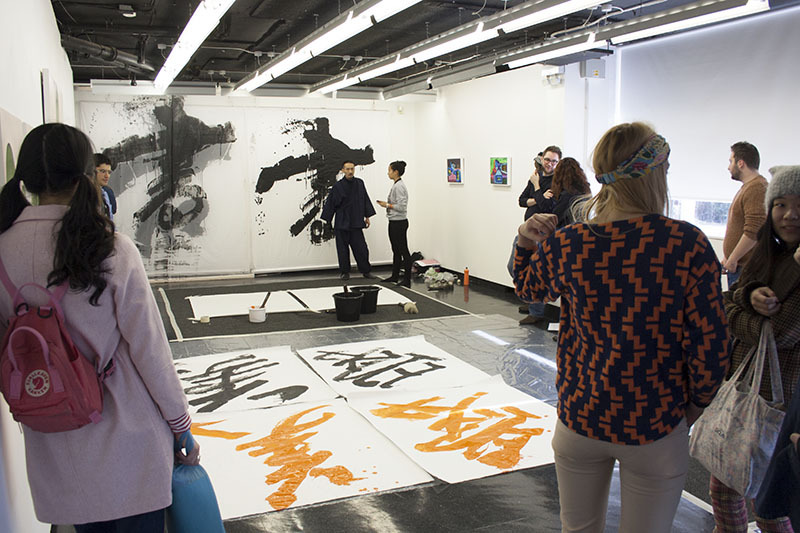 One of these events was an exceptional workshop that invited students from UAL’s Postgraduate Community to join Japanese artist Houran Yokoyama, and learn more about his unique style of calligraphy. Each student was asked to choose a word that was significant to them. Houran then showed them how to paint the character, with the student then painting it themselves. 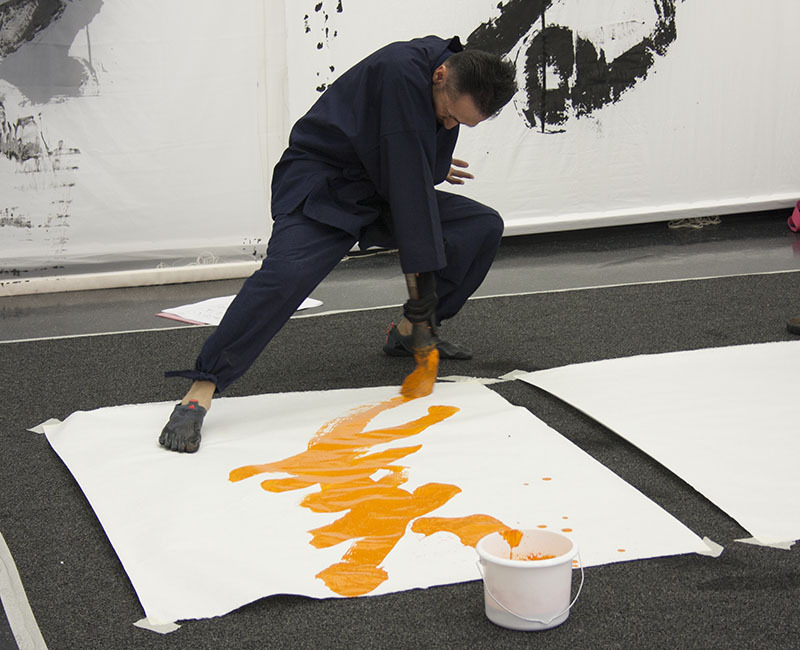 The exhibition, curated by artist Masahiro Suda (Professor of Fine Art at Nagoya University, Japan), explores contemporary approaches to the brushstroke, incorporating painting, calligraphy and performance and features work by Masahiro Suda, Houran Yokoyama, Masaki Yada and Andrzej Zielinski. “There’s something about a brushstroke that resonates with me and I can never explain what it is but at the same time I don’t feel I need to know any whys or whats to appreciate it. I love the finality of the stroke. There was no going back once the brush kissed the paper. Have you visited this exhibition? please tell us what you think in the comment box below.